Mayor Annise Parker is a second generation native Houstonian. She attended Rice University, graduating with a Bachelor of Arts degree. In the private sector, Parker spent 20 years working in the oil and gas industry, including 18 years with Mosbacher Energy Company. She also co-owned a retail bookstore for 10 years. Parker was sworn in to her first term as mayor of Houston on January 4, 2010. 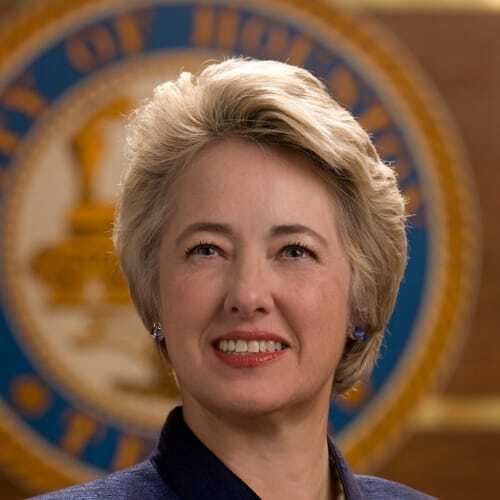 She is Houston’s 61st mayor, one of only two women to hold the City’s highest elected office. Prior to her election as Mayor, Parker served for six years as Houston City Controller and six years as an at-large member of Houston City Council. She is the only person in Houston history to hold the offices of council member, controller and mayor. 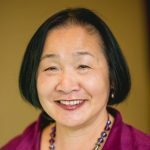 As controller, she helped win overwhelming voter approval (85%) of Proposition 3, which gives the Controller’s Office the independent authority to conduct performance reviews of all City departments, agencies and programs. 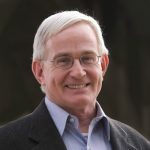 While a member of City Council, Parker chaired its Fiscal Affairs and Neighborhood Protection committees and served on eight others, playing leadership roles in the creation of the City’s $20 million Rainy Day Fund, a civic art program, a pooper-scooper law, tighter regulations for inner city development and the City’s non-discrimination policy. Despite her duties as mayor, Parker remains active in the Houston community, currently serving on the boards of the Texas Environmental Research Consortium and the Houston Galveston Area Council, and as an advisory board member of the Holocaust Museum, the Center for Houston’s Future and the Montrose Counseling Center. Parker and her life partner, Kathy Hubbard, have been together since 1990. They have three children.